Following his 2006 RIAA Gold-certified record, See the Morning, Chris Tomlins fifth studio release, Hello Love, communicates what he describes as the need to introduce ourselves to love again. Produced by Ed Cash (Steven Curtis Chapman, Amy Grant, Bebo Norman), the record endeavors to give voice to the Church to worship their Creator. Songs including Love, God of This City, Sing, Sing, Sing, and I Will Rise, are already impacting worshippers across the globe, as Tomlin debuts his new music on Passions first ever world tour. The projects first single Jesus Messiah is finding a home among American listeners as well, receiving more adds its debut week than any other single in Christian radio history. Its no wonder that Tomlin continues to be the most-sung artist in churches around the world. 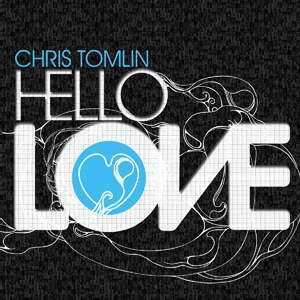 Hello Love by Tomlin Chris was published by EMI in September 2008 and is our 35287th best seller. The ISBN for Hello Love is 5099921235924. Be the first to review Hello Love! Got a question? No problem! Just click here to ask us about Hello Love.